Money, Side Hustles, This post may contain affiliate links. Please see Disclosure Policy. 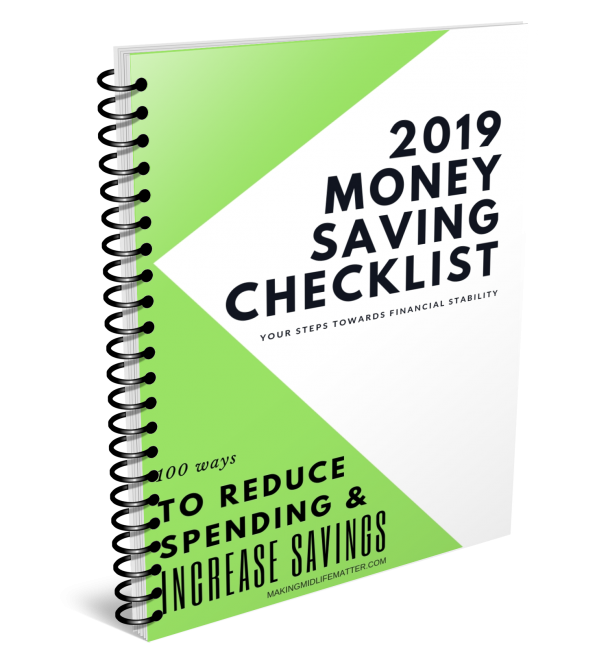 Whether you are saving for retirement, looking to supplement your income or wanting extra cash to pay down debt, side hustles are the perfect way to make at least $500 per month to help you achieve your goals. The key is to find the one or two that best suit your life. If you do that, not only will you maximize your earning potential, you will also be able to scale your revenue in less time. All of the following side hustles are ones that I or my friends have done or are still doing. It is important to note that our side hustles constantly change and adapt according to each individuals needs. The best thing about side hustles is that you are never committed to one. Try one. Try them all. Figure out which can easily fit into your current schedule. No one wants to work 24/7 and feel worn out and stressed. Side hustles can be fun while adding to your bank account. Choose wisely. 1. Rent a room in your house. There was a time, about ten years ago, that I rented 3 rooms in my house. Yes, three! I was newly divorced with 2 children. My income plus child support payments came no where close to the amount I needed to pay my bills. Looking back, I should never have been so stubborn and should have sold the marital home when I was given the chance. But I didn’t want the divorce to throw my children’s lives into chaos and upheaval. Let me tell you, it was tense and crowded but that extra income saved my house. Believe it or not, I still have one of those renters living with me. He has become like family, except I get paid every month to house him! I use the extra money to pay down debt and do renovations. This month, I am having hardwood flooring installed. The best part? It’s a tax write off! Renting your home is an excellent side hustle. And there are many different ways to do it. You don’t have to go with full-time, permanent like me. You could opt for short term, vacation rentals (AirBnB) or cyclical, like renting to students, including foreign exchange programs. Carefully study the pros and cons of each type, then decide which one you would feel most comfortable with. I’m not going to lie here. It is hard to allow a stranger into your space. 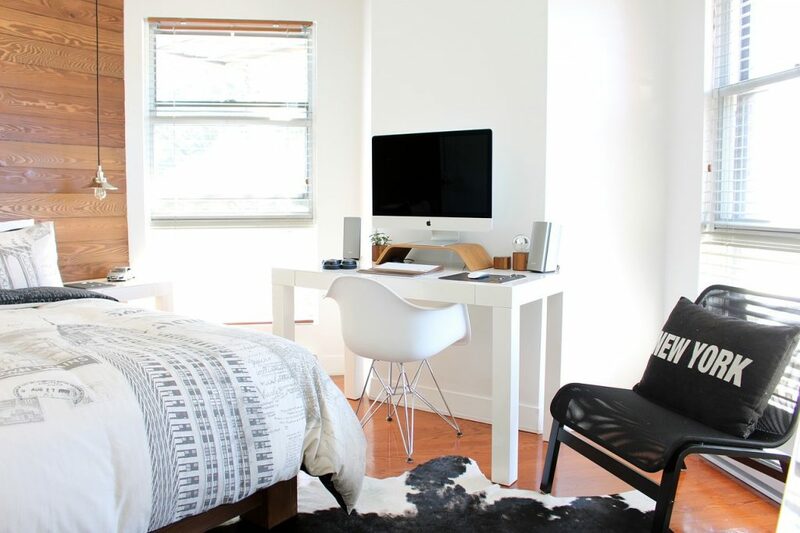 If you want to be successful with this side hustle, both you and the renter must feel good about the living situation. 2. Deliver food or products. If you have a reliable vehicle, the opportunities for this side hustle are endless. With more and more companies offering home deliveries, the demand for independent contractors has gone through the roof. Very few businesses hire their own full-time drivers anymore and that’s where you can step in and fill the gap. I’m only going to mention a few and hopefully that will open your eyes to the many different options available to you. Seriously, all you have to do is research the possibilities. Pizza delivery is the one most people think about when one talks about food delivery but almost all restaurants and take out places have home delivery now. And there are many companies that have popped up to accommodate this. They are like hubs that deliver for all the food outlets. An example of this is Skip The Dishes. Check out kijiji, Craigslist or the classifieds for delivery drivers or go into your favourite eatery and ask who handles their home delivery. Product delivery is another contacted driver position. These include car parts to dealers from parts stores, amazon order delivery and even lost luggage delivery from the airport is a contracted position. Another good one is flower delivery. Especially around Valentine’s and Mother’s Day. Florists need extra drivers to handle their increased demand for delivery. Once you open your eyes to the endless opportunities for delivery drivers, you will be shocked at how many choices are available to you if this is the side hustle that interests you. Don’t be afraid to inquire at local businesses to find out more about their distribution process to find the connections to the positions. 3. Deliver newspapers and flyers. I have delivered everything from newspapers to phone books (yes, I’m that old) to real estate flyers. Have you seen those free flyers at your grocery store checkout? How about those metal boxes with newspapers or catalogues listing home sales/rentals available/local job listings? Those are all filled by independent contractors. Door to door flyers from local businesses too. Again, all you have to do is ask people who does the delivery. You can even pick up the flyers and call the contact information on the back to find out more information. 4. Become a Uber or Lyft driver. If you live in an urban area and can be available for set hours every day, this side hustle may be a perfect fit for you. Go online to find out the requirements for your vehicle. The great thing about this option is that you don’t have to handle any cash. Everything is handled by the company you contract out to and payment is transferred to you electronically. The process of notifications for pick up is handled through apps on your phone. It is so streamlined and simple. You don’t really have to know the lay of the land either. Even if you are completely new to a city, you can be a driver because of GPS navigation. 5. Become a Pet Sitter/Walker/Housesitter. Love pets? This may the side hustle for you. You can get into this as easily as posting a flyer locally, like in a grocery store, or online. You can also register with trusted housesitters to find opportunities in your neighbourhood or around the world if you want to travel for free. How cool is that? 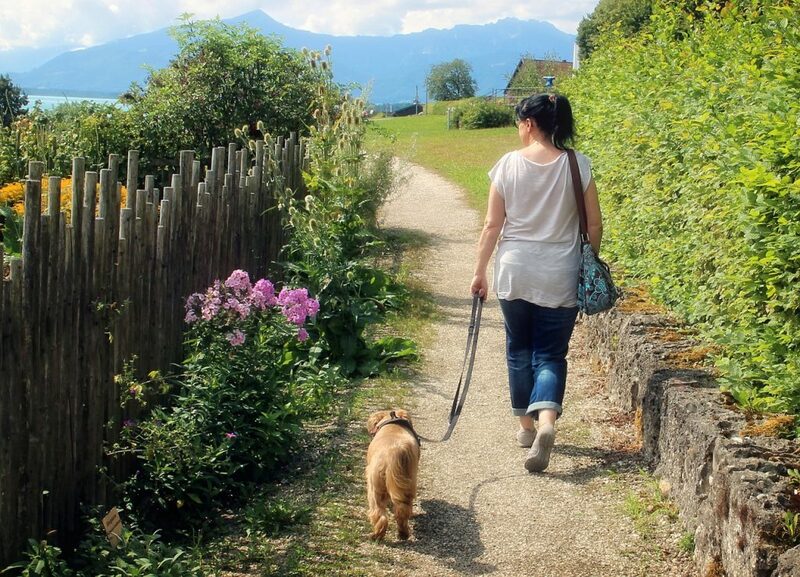 Find out if petsitting/housesitting is right for you here. 6. Clean houses/Pick up dog poop/Do landscaping. As a homeowner, there are tons of jobs that need to be done that I don’t have time to do or that I just don’t want to do. That’s where you can come in and fill the gap. Make a list of all the things you could do. Don’t forget to list seasonal jobs like pool openings and closings, spring cleaning, window cleaning, and weed pulling to name just a few. Those services allow you to make quick money without a year long commitment. Check out your competition to get an idea on how to price your services, i.e. per job or per hour. Then make some flyers and post online. Don’t forget to tell your friends to spread the news. Word of mouth is the best way to secure your first job. Do you like perusing flea markets and second hand stores? Do you notice perfectly good furniture left at the curb for garbage pick up? Are you crafty? This side hustle may be the fit for you. 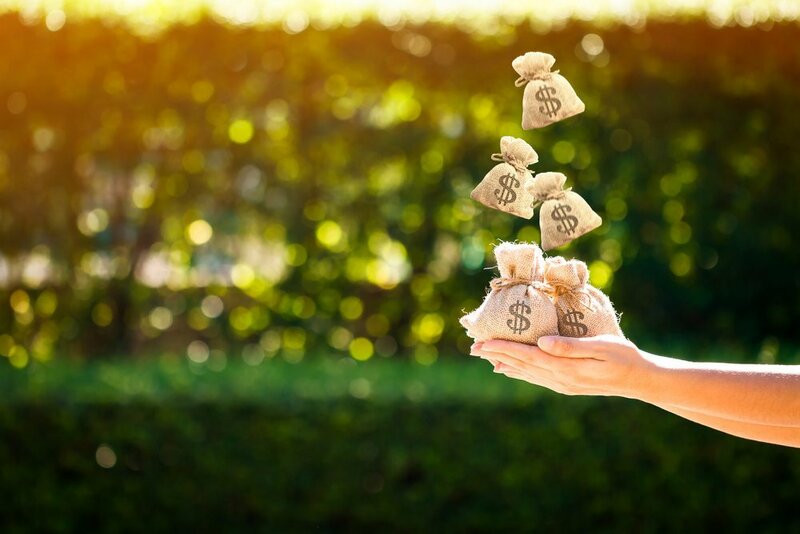 It is important to note that cash may not be instant with this method but the opportunity for 100% profits for your efforts is exhilarating. The best way to maximize your profits is to choose one type of product to focus on. For example: furniture, electronics or collectibles. When you specialize, you are able to work smarter, know your market and scale your efforts. You can sell your items locally through online classifieds or globally through eBay. When I used to deliver newspapers in the very early hours in an affluent community, I used to regularly come home with strollers, cribs and high chairs that were left for garbage pick up. I only chose items that were in perfect condition. By only choosing to flip those items, not only did I learn which products were in demand but how to price them. I also found consignment shops that gave me cash right away so that I didn’t have to wait for my money. Yes, I made a bit less than if I sold them myself but turnaround was more important to me. Narrowing your focus is very important if you are going to flip items as your side hustle. 8. Drive a school bus/crossing guard. If you have a few hours available in the morning and late afternoon, this may be the side hustle for you. Don’t worry, all training is provided to you. Just make sure that you can handle the noise and constant chatter. The bonus of this side hustle is that you can pick up extra excursions like field trips during the school year and the summer. Or you can opt out and have the days and summers off. The flexibility is there for you. To find out more, just follow any school bus in your neighbourhood. There usually is a phone number or contact information on the backs of busses. To become a crossing guard, call the local school district for more information about hiring. 9. Become a before or after school babysitter. Are you already looking after your own children or grandchildren? Why not add one or two more and make some extra cash. Many parents have to leave early in the morning or work late. They are looking for someone they can trust and bonus if you are local or are already picking up at the same school. Get the word out. Instead of picking up or dropping off and running away, talk to other moms doing the same or hand out flyers. This side hustle works best using word of mouth to spread your availability. 10. Become a background actor. Movies and tv series are being filled everywhere nowadays. Even if the movie/tv series is supposed to be set in New York or Los Angeles, it is rare that shooting actually takes place there. There are probably movies being filmed every year close to where you live. Sometimes casting calls are made public but for the best opportunities, you should sign up with an agency. They take a cut but the benefits include: more jobs, pre-selection so you don’t waste your time going to auditions you won’t get plus a team that has an interest in finding you work. Compensation may be made by the day or hour and meals may or may not be included. Plus you get to be a part of filming which is exciting in itself. Be prepared for really long hours of sitting around if this is the side hustle you choose. All of the preceding side hustles require you to leave your home or have a vehicle. 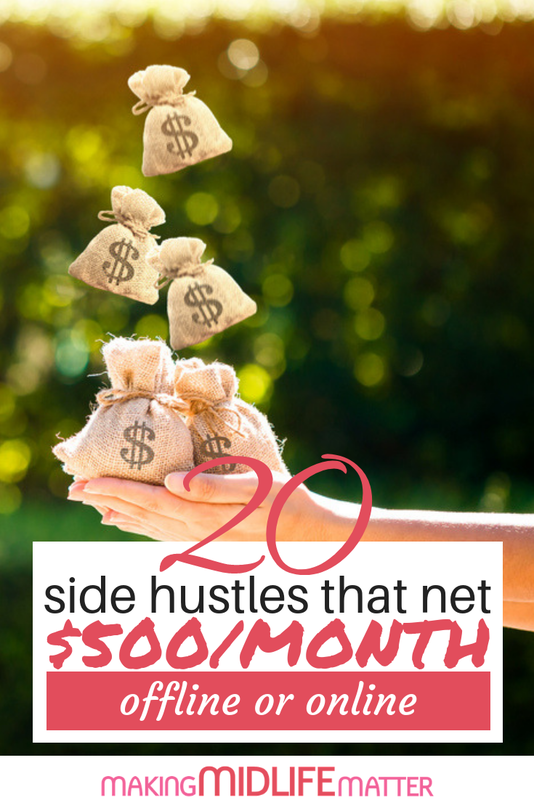 If you are not able to do that, the following are the side hustles you may be interested in. 11. Become a customer service rep at home. More and more companies are contracting out these positions. And although the large companies hire overseas, local businesses hire local people. You could be selling subscriptions, services or setting appointments from home using your own phone. Inquire at home renovation companies to dentists offices. Want to make money sharing your opinion? There are tons of sites that are hired by brands to do market research on their key demographic. The way to making money with this side hustle is honesty. Make sure you complete your profiles truthfully. It is a huge time saver because then you will be offered surveys that you will probably be qualified for. There is nothing more frustrating than having to answer pre-qualifying questions for 5 minutes only to be rejected. It is important to note that certain lifestyles have more opportunities for surveys, like being a mother of young children. However, even I, with grown children, have been paid $40 for one survey about my car buying process. The great thing about taking surveys is that you can do it while you are watching tv or waiting at the doctor’s office. All you need is a phone and the Internet. Don’t get frustrated in the beginning if this is the side hustle you choose. It may take you awhile to figure out which survey companies are best for you and which pay out the most. It’s totally worth it if you push past the learning curve. Click here for a list of the survey sites I use. This is by far my favourite side hustle and my most lucrative. At the time of this article, I am making between $3-5,000 a month passively through my blogs. Yes. A month! I’m not going to lie to you. This side hustle took some time to cultivate before I was able to see real financial success. Don’t believe all the articles that try to make it sound like blogging is a quick rich scheme because it is not. It is a lot of work and their is a steep learning curve. If you need money ASAP, this is not the side hustle for you. Did you know I earn between $3-5000 every month with my blogs? You can too! Downloard my FREE "Start a blog" eBook here. Your complete guide to creating, launching & growing a successful blog. 14. Become a virtual assistant. Before my blog started to take off and produce a passive income, I offered my services to other bloggers. At the high point, I did make a few thousand a month. That’s the good point. On the downside, being a virtual assistant is like having a ton of mini bosses and deadlines. You are also limited by time. You can only take on so many clients as there is only you. It is hard to scale this type of side hustle. But you can make cash fast and have a steady income by having monthly contracts. 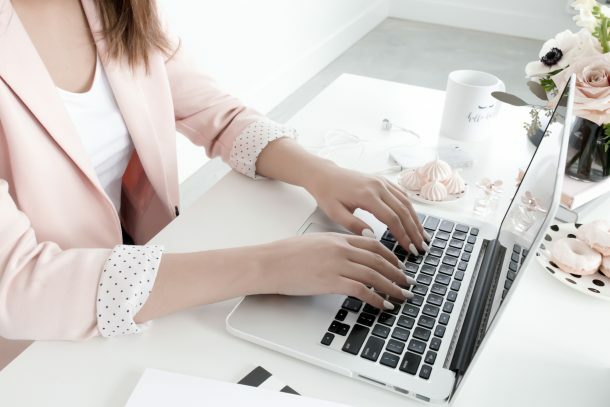 The services you can offer are endless and if you have your own blog, handle your own social media or have ever worked in an office, you have the skills you need to become a successful virtual assistant. First, decide on what services you are going to offer. Second, check out what other VA’s charge to help you set your rates and third, draft a contract that your potential clients will sign. Believe me when I say, you need to have what you will and will not do in writing. Too many VA’s fail or burn out when they don’t have written agreements. People will try to get you to do more and more without compensation. Protect yourself from burnout. Then, put yourself out there. Write a post, tell your blogger friends and share your service offerings in Facebook groups. For more information on how to become a VA, check out this site. Do you have a knack for teaching others? Do you have a college or university degree in any field? Do you have any experience teaching? You could potentially make up to $21/hour teaching English to others online. 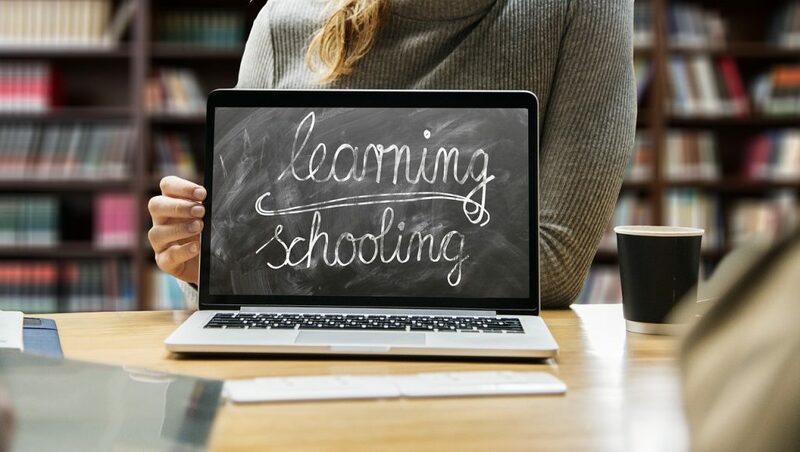 There are many online schools you could potentially work with. Do you research. Talk to other teachers that do this. Check out how to become a teacher on SayABC here. 16. Sell an online course. Have you taught yourself how to master an online business or skill? Why not teach others what you know. The upfront work on this side hustle is huge but once you have created your videos, printables and lessons, it takes very little upkeep and the course can draw you a nice passive income in perpetuity. And with platforms like Teachable that handle all the technical stuff like membership and payment portholes, it’s a breeze. Plus they have a resource section with tons of information that can help you from start, choosing a topic, to finish, how to create a professional looking course. 17. Sell digital art or products on Etsy or Shopify. Are you crafty? If you are skilled at making printables, have transferred your artistic creations into digital form or can create physical products like jewelry or hats for cats, why not try to make money selling those gems? For a tutorial on everything you need to do to start your Etsy shop, click here. 18. Become an independent contractor like a bookkeeper on Fiverr or Upwork. Administrative skills can be done from anywhere you are in the world and your clients can be elsewhere too. This includes the services that you may offer as a VA as mentioned in #14 above. It is important to be very clear about what services you will offer. I suggest you start with only one and then expand or modify as you need to. Pay particular attention to how you set up your account. This can make or break your success at acquiring clients. Be patient. Do great work and you will get positive reviews which will help boost your profile. Click here for more information on how to set up your account on Fiverr. Do you take beautiful photographs? People are always looking for unique art to fill their homes. You could sell your prints through your own site or through a porthole site or, you can submit your images and become a stock photographer. Honestly, the opportunities are endless. Check out this post that lists 25 places online that you could sell your images. 20. Become a freelance writer. 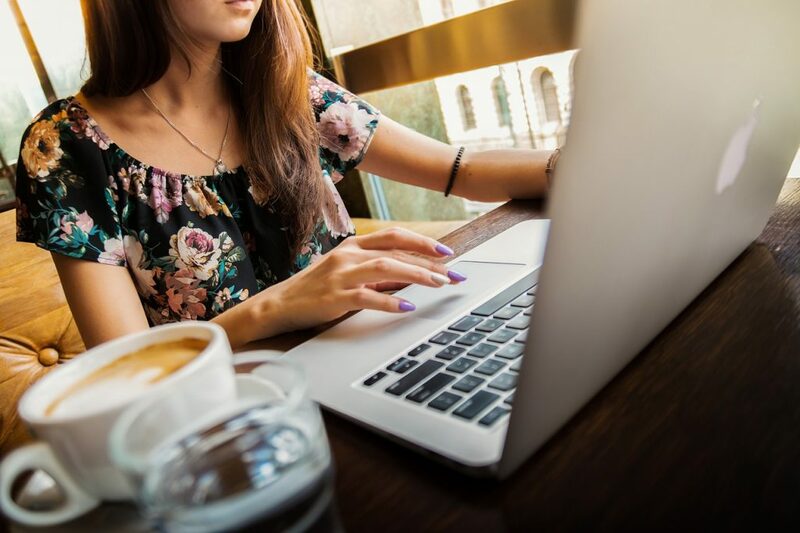 If you love to write about a multitude of topics but don’t want to get bogged down with managing your own site and social media promotion, then why not help others with their content creation and get paid to do it. Is ghostwriting for you? Check out the pros & cons here. Deciding on a side hustle that works for you takes some time. Don’t rush into anything. Think it through thoroughly and logically. The right side hustle can net you a lot of extra cash without putting a strain on your time or stress you out. When it works, it is magic!